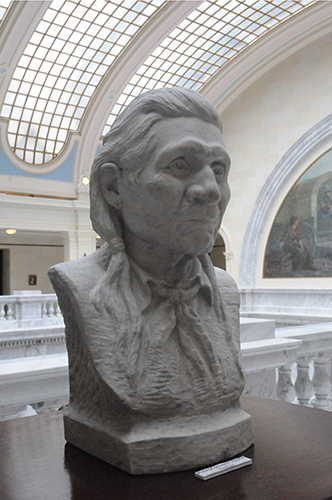 This marble bust was created by Millard Malin in memory of Chief John Duncan, a Ute Indian of considerable influence. He served as a liaison between various Native American tribes and the Bureau of Indian Affairs in Washington, D.C. after the Civil War. This bust can be found on the fourth floor of the Capitol in the southeast gallery.